Love the app. Great recipes and easy to use. Just wish there were more recipes. I want me money back! Pretty much none of the recipes have photos. Expected more from an app that you have to pay for. Not even able to register/get past the first step. There are not too many recipes and the pictures are all the same for all the recipes. I can’t seem to register !!!! Unable to register. There is no “Next” button to allow me to complete registration. Want my money back or help registering. Hi. I just download the app and I have a problem confirming the password of my account. I don’t see any “next” or “done” button so I can go to step 2. The screen stays at Step 1 of the register process and that’s it. Almost $4 for that? Please help. Thanks. App worked fine until I did the update, now I can't even open up any recipes. I want my money back as the app is now useless! Waste of time! App is stuck on the first page. Very disappointed. The app will not leave the homepage. I can't even login, waste of money for something that can't even function properly. 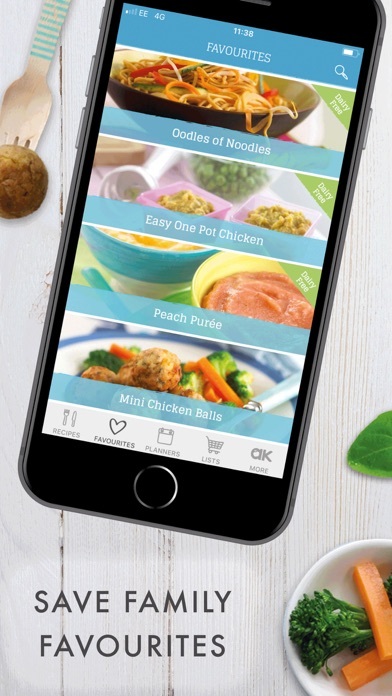 Nice app but I was disappointed with the amount of recipes for the price I paid for the app. Was not able to register! After putting in all the information necessary to register, there is no next button to move on to the following step . Wasn’t able to use this app. I find so many interesting recipes that my child likes. But with the lates update I can’t see any contents the the app. I love her recipes but I can't use this app. It crashes EVERY TIME! Please fix or refund our money. I really love AK recipes. I make them for my baby all the time. I was hoping this app would be good for on the go but it has few recipes. Also my daughter has a milk allergy so the small selection of recipes is even smaller because most call for milk or cheese!! Great start but it needs more recipes to make it fantastic and worthy of the AK brand! It won't load. Waste of money. Very disappointed. 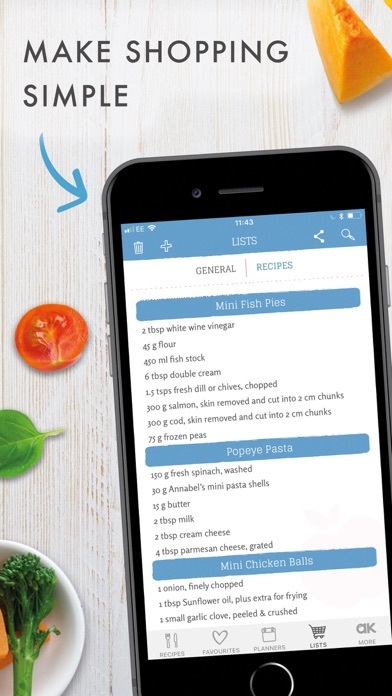 I agree with the other comments that this app is over-priced and includes too few recipes. I should have simply looked up recipes online for my kids. 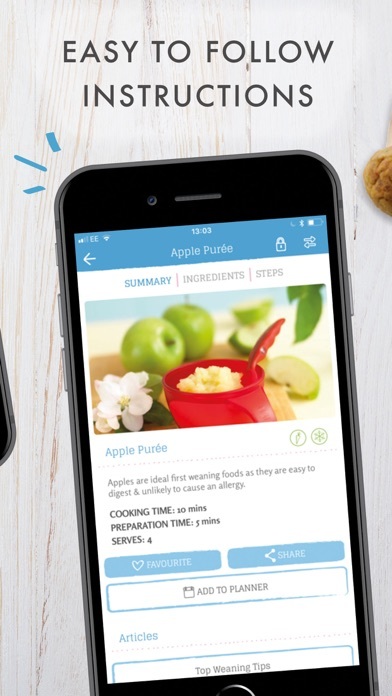 I bought this app because I had got the Nuk Cook N Blend food maker and needed more recipes. Only to find out after I wasted my money, that none of the recipes are geared towards the food maker. Wish I could get my money back. I thought this app would provide me with many different recipes for my baby, considering how expensive it is! Not the case. You get about 10 in each age range. What you're paying for is the "prettiness" of the app. I gave it 2 stars because the recipes are easy to follow. This app is not worth it. I read the reviews and hoped that they were wrong but it was true, this app has very few recipes. Not worth it, you are better off just looking for them online. I've tried downloading this app countless times (even left it for about 5 hours one time) and it won't open. It keeps displaying "downloading recipes" no matter how long I leave it to download. it was fine until the update!! fix the bugs please!! Not worth the money at all!! I was really surprised by how little content there is. There are only a few recipes and tips and hardly anything new that isn't on Babycenter or other free baby sites. Many of the cross links just refer to the same content and there are too many plugs for other Annabel Karmel products. It's the most overpriced app I've ever bought and I feel really ripped off. I wish I could return this. Just need more receipts for toddlers!! You have to wait for download which is annoying but the videos literally show you how to cut and peal a squash or cut a mango that's it ! Seriously you can get all you need from you tube ! This APP is useless !! I lve h products and was excited to get this app but now I feel ripped off...the app is not working well and some recipes are missing while oths are just showing the photos and not the ingredients and directions/steps...it is a very expensive app and I really thought that it would have contained more variety in recipes and functioned better...what a waste! 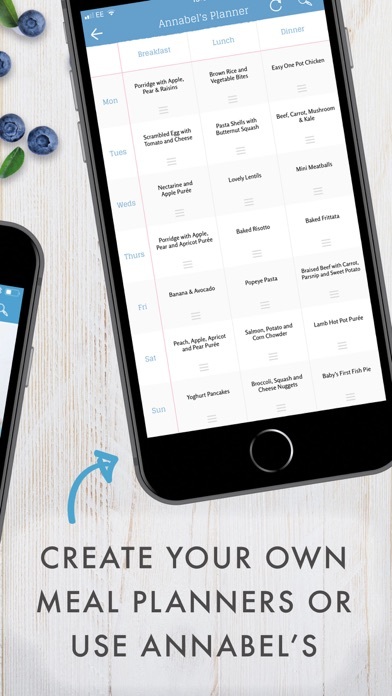 My wife and I bought this app to help plan meals for our infant. There are critical logic bugs that need to be fixed. For example, if you switch units from metric to imperial, and add new items to your shopping list, the list has items in grams and in cups. The app should standardize the list in one set of units. My wife added one recipe and the app bombed on her. She restarted and went to her shopping list. Apparently we need to purchase 110 onions this week for one of the recipes. Not sure I could eat that many onions let alone our baby. Two examples of many bugs that are prevalent in this version of the app. Obvious no one tested this before releasing to the App Store. 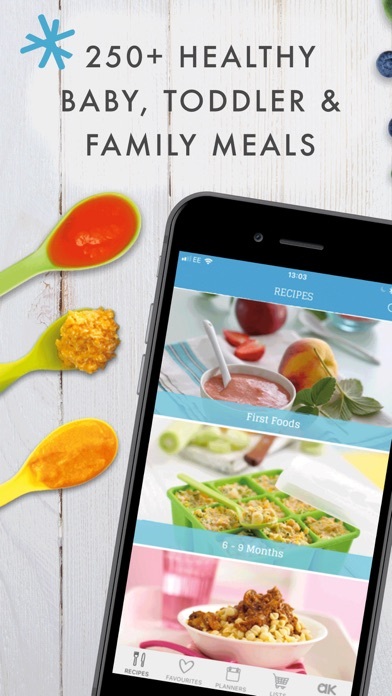 I thought this app would be perfect for starting my little one on solids, however when I try to open the app it states the recipes are downloading- which never do. I have extremely fast internet - google fiber optic, so internet strength is not the issue. I would not recommend this app. Nice but overpriced for the little amount of recipes that are on there. Most of these recipes were already on her website which is free. Disappointed. Great app with a lot of options for those looking to have a varied menu tour your little one, unfortunately keeps crashing in both iPhone and/or iPad when trying to get into the 6-9 month recepies. I have 2 of Annabel Karmel's books and I got the app so that I could have it handy when I go to the store. The problem I have with the app is that I wish there were more variety in recipes. It would be nice to see one or two new recipes added every few weeks or so. I made the mistake of buying this app before I went to the website and read the reviews there. It does not load. I basically paid $5 for a picture with the title of the app at the top. This was a common theme of the reviews online - I recommend heading there before you purchase. Don't waste your money. I cant open any recipes. When you tried to open it, it shuts down. Please fix the bug. Its not a storage thing, my ipad hasalmost anything on it. It takes forever to register! I don't know why its always loading. I should not register.